Twister Creek IPA is an American style IPA, specifically a Pacific Northwest style IPA, meaning we use a lot of hops to produce it. If you’re a numbers person, you’ll like to let your customers know we use 1.75 pounds per barrel of hops, the majority of this being dry-hops. 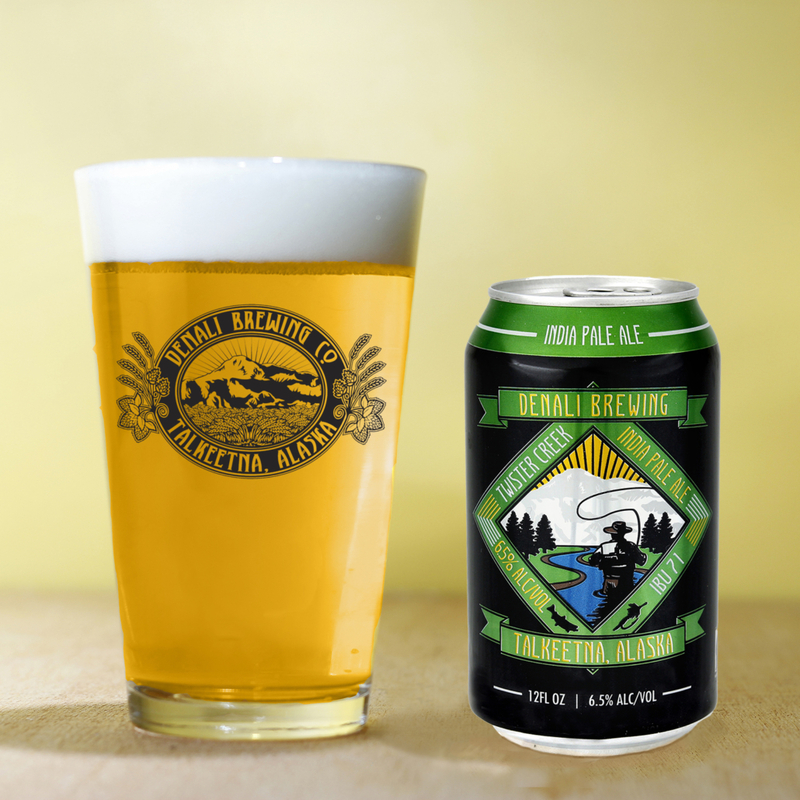 We use just over one pound per barrel of Columbus and Cascade dry-hops to produce an extremely aromatic IPA. The malt bill here is quite simple: American two-row malt with a little caramel malt on the side. Twister Creek is the creek that runs near the Spur Road before the railroad crossing at the edge of Talkeetna.